Has your stove ceased to function properly? If you have a stove in need of repair Appliances Repair Markham is the premier stove service in the Ontario region. Our staff of professionals is stacked with experts that have devoted their careers to delivering impeccable appliance service to their community. We can arrange same day appointments and service any brand of appliance. We can provide excellent stove repair to all stove types. Whether you have a gas stove in your home, or an electric model, our specialists can repair them in rapid fashion. Stoves can be a little tricky sometimes, but our technicians know a few trade tricks to solve any issues. 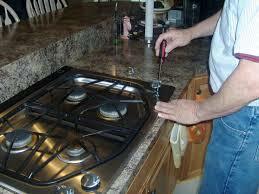 We care repair or replace stove cords and address any wiring issues that might exist. We can also repair burner issues. Contact on us to repair your stoves in Markham. Obviously there are many stove models that can be plugged in and set into place. You don’t need Appliances Repair Markham to do that for you. However, gas stoves, built in ranges and other such appliances do require stove installation service. Our appliance service team can install your stove offering professional results every time. Get in contact with our company the next time you need appliance repair and installation services.